ItinerariesHome Itineraries 7 Days Kilimanjaro Lemosho Route. 7 Days Kilimanjaro Lemosho Route. 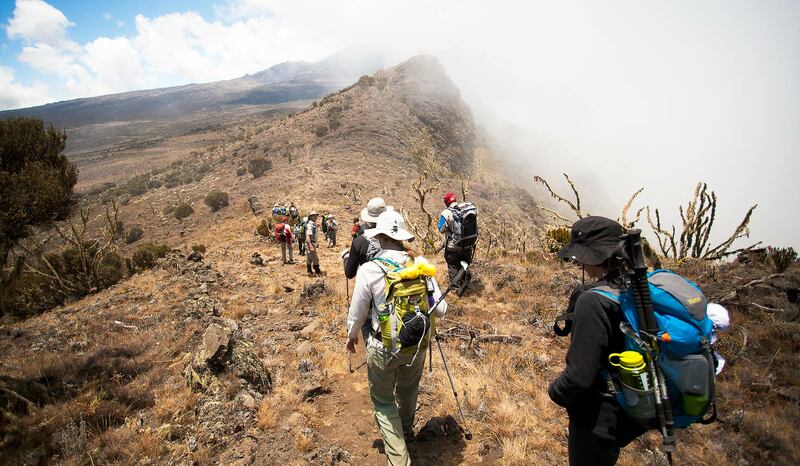 7 Days Kilimanjaro Lemosho Route climbing, Lemosho is known as the best route introduced as relatively new route, is preferred by reputable operators due to its beauty, remoteness and success rate. In short, it maximizes the chances that a climber will reach the summit, and enjoy the experience overall. This is a short hiking day meant for acclimatization. After an early morning breakfast, it is now time to conquer the Great Barranco Wall! Although it may look intimating at first glance, hikers state that this Class 2 hike is usually much easier than they anticipated. At the top of the Wall, you will have a view of Heim Glacier and will be above the clouds. The trail then winds up and down in the Karanga Valley. You will spend the night at Karanga Camp (3950m) and enjoy dinner and washing at the site. After breakfast, you will begin your ascent. The trail intersects with the Mweka Route, which is the trail used to descend on the final two days. 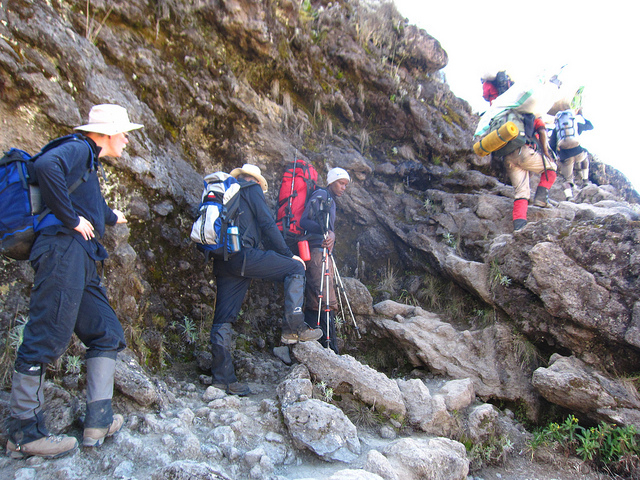 As you continue hiking for an hour, you will reach Barafu Hut. This is the last water stop for the porters because there is no accessible water at Barafu Camp (4550m). The word “barafu” in Swahili means “ice” and this camp is located on a rocky, exposed ridge. Tents will be exposed to wind and rocks so it is important for hikers to familiarize themselves with the campsite before dark. An early dinner will be served so hikers can rest before attempting the summit the same night. Your guide will brief you in detail on how to prepare for summit night. Get to sleep by 19:00. Diner and overnight at Green Mountain Hotel. Let us give you the opportunity of traveling with us to discover the natural tempo of this land, cultural, historical things, wildlife and its people. Always we prefer to treat our customers as a VIP’s, so every customer who booked with us he/she is VIP’s to us. 6 Days Kilimanjaro Machame Route.